A successful project execution requires an efficient project tracking and controlling. This is what we do: projects are created within seconds. Project schedules are detailed. 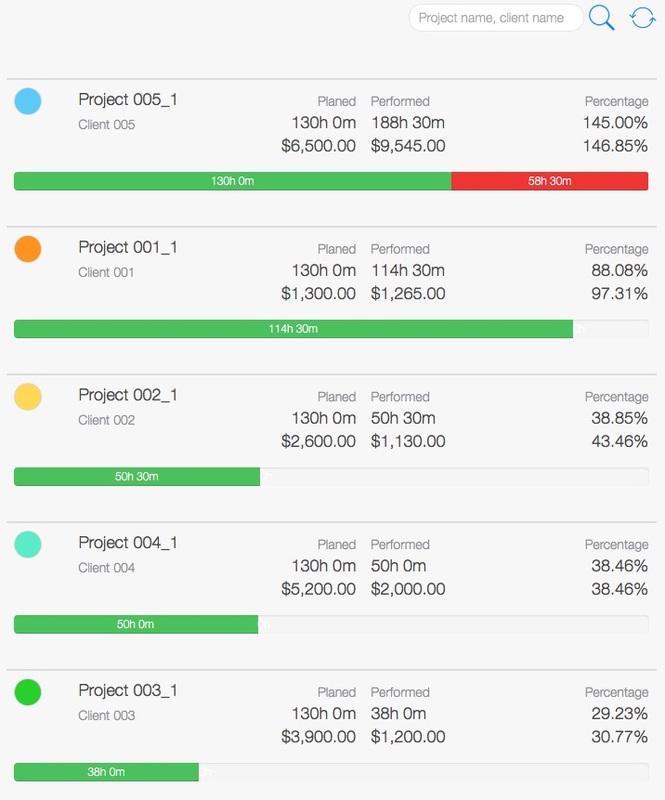 We optimize project controlling, because our goal is to help you visualize your progress the best way possible. In order to create a new project you simply need to set a name. 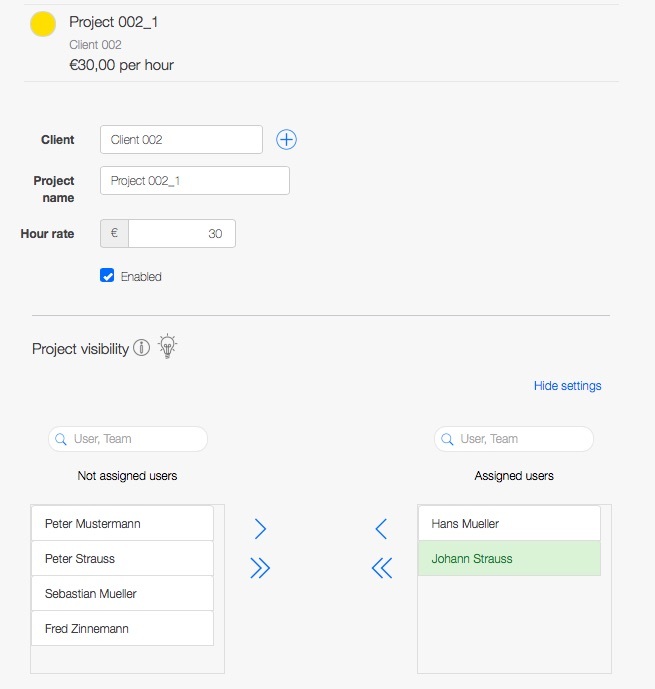 Then, you assign your employees to the project. They receive immediate access to the project they are working on. We offer more than 50 user rights, that can be assigned. This way you can limit the user’s access to certain activities and they can only edit the data of the projects they are working on. Every successful project requires a pre-set goal. 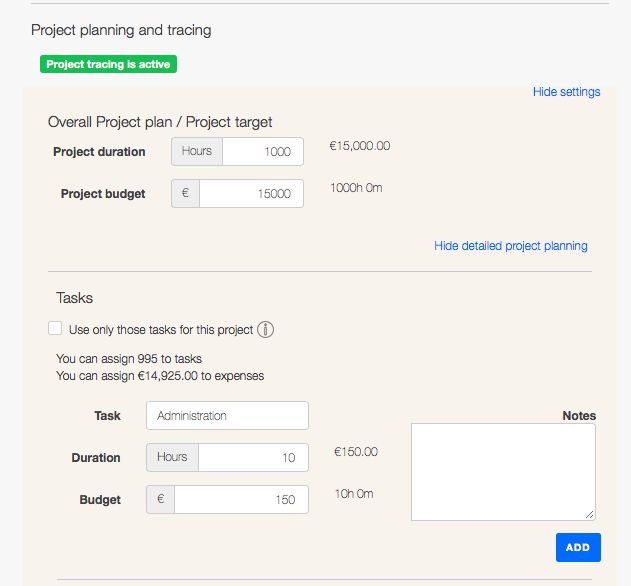 Set the expected project duration and budget. TimeTrack activates automatically the project tracking, giving you regular updates on the progress. Start your project now and keep the perfect overview. This way, you have enough time to spend on the things that really matter, without neglecting your projects. Has the project cost you too much money and time? A successful project has to be tracked properly. Our target-actual comparison shows which projects are efficient and which ones are not. 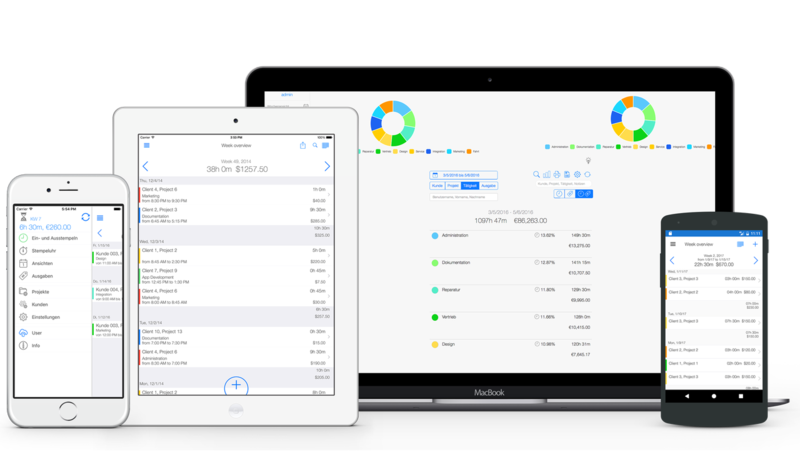 The exact problem area is highlighted so that you can visualize within seconds, if your expenses are as high as initially planned. We also display the project returns to know if your work is cost-effective or not. We believe that a company cannot improve without constant feedback on its current efficiency. This is what we are here for: to give you a good overview of your project’s progress. We highlight specific problem areas, so that you can improve them immediately. Together we keep an eye on everything.